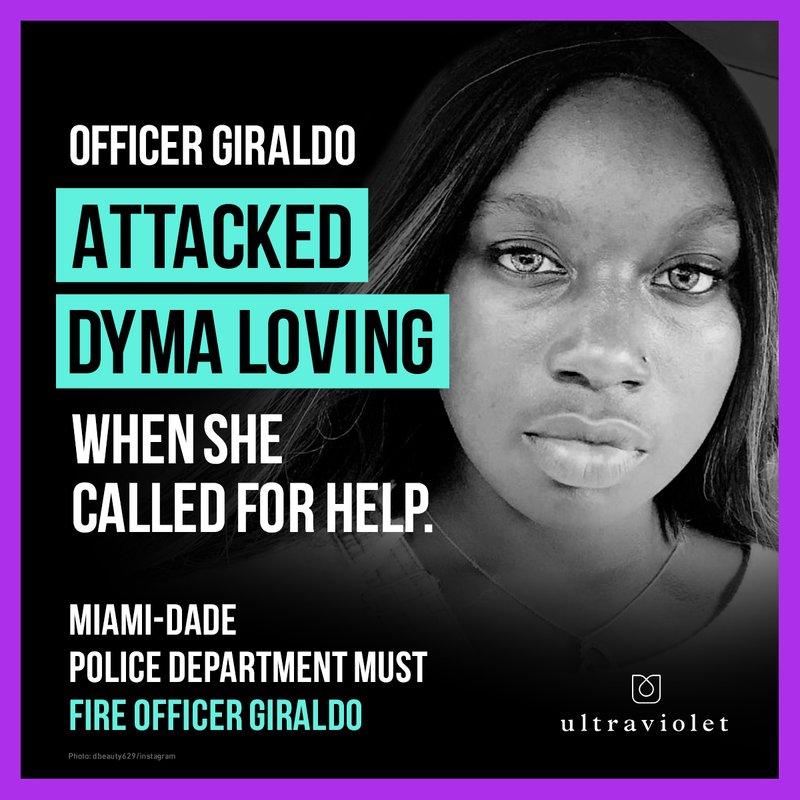 "Fire Officer Giraldo for assaulting Dyma Loving." Last month, Dyma Loving, a mother of three, called for help when a neighbor threatened her with a gun. When Miami-Dade police officer Alejandro Giraldo showed up, he dragged her to the ground and told her she should be sent to a mental hospital. This type of violence against Black women happens all too often, and can be deadly, as in the cases of Rekia Boyd and Sandra Bland. Giraldo is a danger to the public, and can't be trusted to serve or protect. If we all speak out right away, we can shine a national spotlight on their department and make sure they act. Sign this petition demanding that Officer Giraldo be fired immediately.